Friends I've got the 4th of July on my mind! 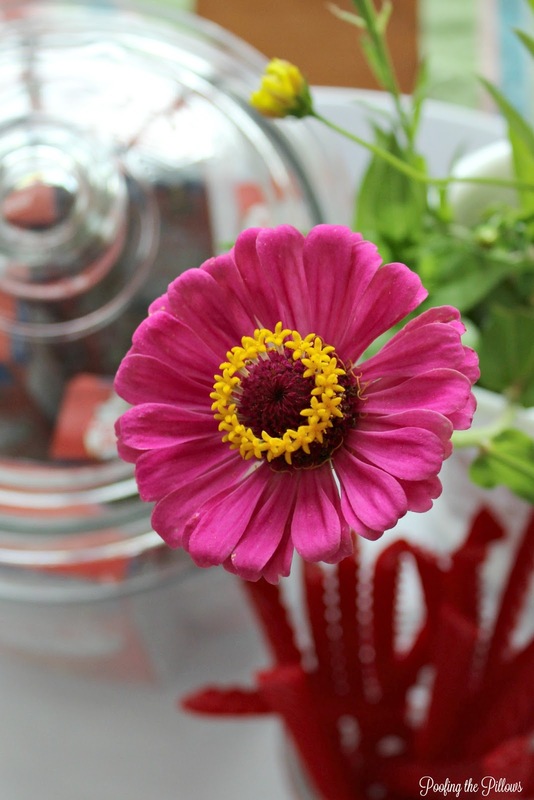 I thought I'd gather a few goodies together and share a fun and simple tablescape with you. I've also got a delicious cookie recipe you'll want to try. To put this tablescape together, I easily found goodies from around the house and also hit the dollar store for a few things. I love beautiful dishes but advocate paper plates in the summertime so that's what we are using today. Our centerpiece is made using a tray that I've had for years. On the tray, I've collected one of my pantry jars and filled it with good old Cracker Jacks. The iconic look of the package seemed perfect for this table. There's a little jar filled with Red Vines and an old family pitcher filled with flowers from the back of our lot that we lovingly called the weed patch meadow. Each place setting has a cute little bucket filled with a napkin and utensils. Now let's get to the cookies! This is a family favorite passed to me by my sweet sister-in-law. The copy I have is a copy she had and the original name on it was Judy Deever. So...Judy Deever, wherever you are...thank you for these! 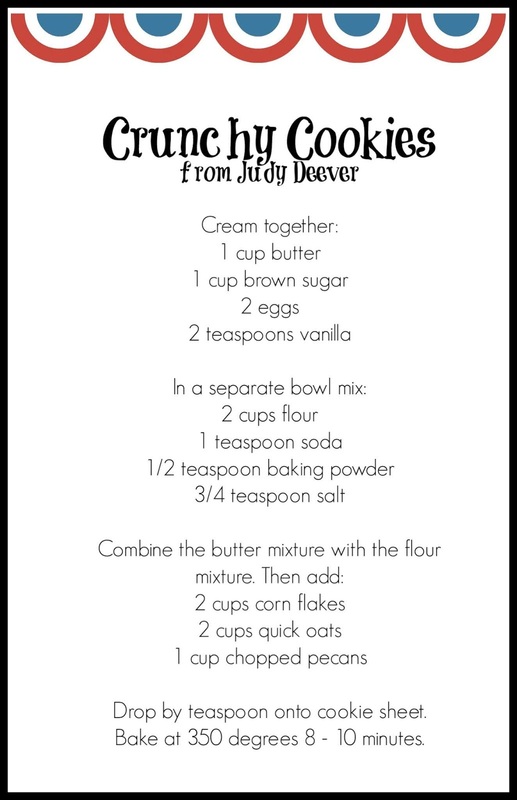 You can right click and save this recipe image for these old-fashioned, delicious cookies. What a darling tablescape, Stacey! So festive & fun! Thanks Cecilia. :) It was fun to put together and let's just say I've eaten a few too many cookies at this point. Love the tablescape! Those cookies sound wonderful. Penny, the cookies are delicious and I'm just thinking they are good for us because they have oatmeal. Stacey, your table looks summer fresh to me. Love the patriotic touch with the red, white, and blue. I smiled at the Cracker Jack boxes. I like to use those as well as the small, red, metal Coke Cola bottles. Toss in some sparklers, and one's ready for a fun time. Stacey, your table setting is adorable. I love how casual and relaxed it is, yet festive. Perfect for this time of year. And, those cookies sound delicious. Thanks Lauren. The cookies are delicious and they are disappearing quickly! So festive, fun, colorful and delicious! I bet you make each season so sweet with your decor and cooking/baking skills! Andrea, I don't decorate for everything but with a son in the army, I can't pass this up! Love the table and yes paper plates it is in the summer. The cookies sound delicious! I love anything with oats. You had me at "Cracker Jacks"! What a cute idea...and I love the pails, clever! 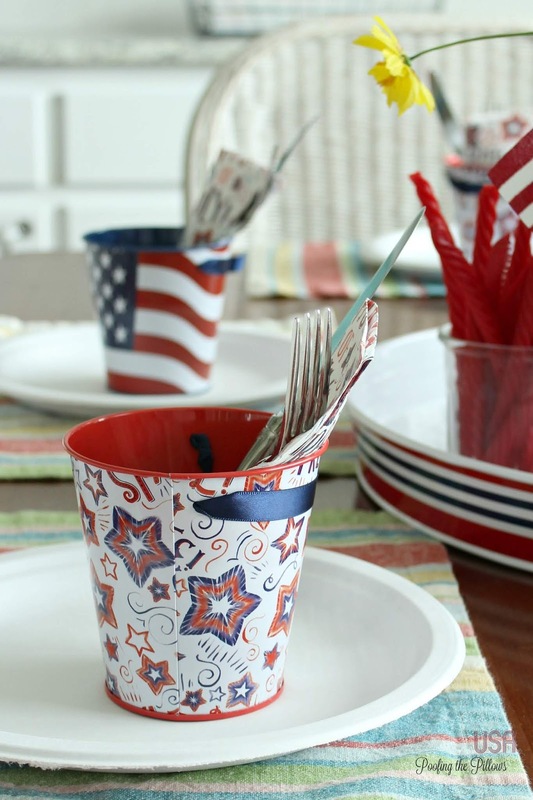 Pinned your patriotic table setting for some red, white, and blue inspiration. So adorable... love those buckets! And the cookies look delicious! Pinned! 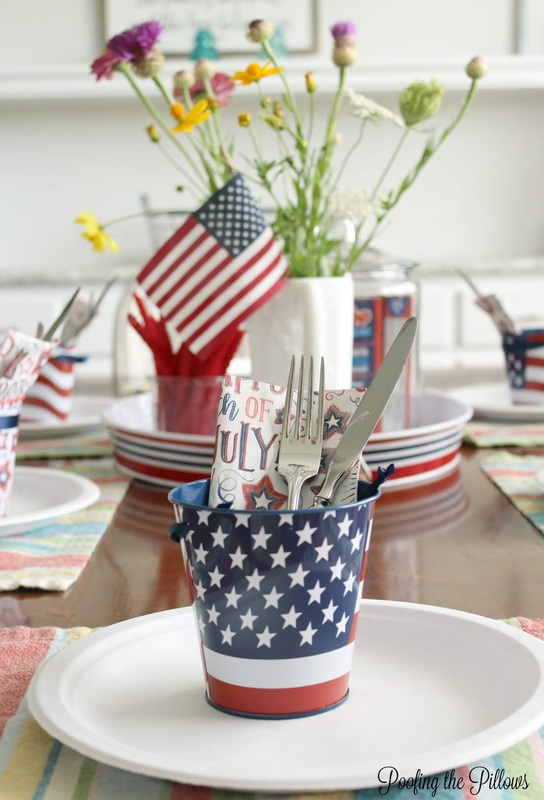 Love your patriotic table setting Stacey! Those cookies look delicious too. I'm sure my husband would love them. Thanks for sharing. You created a darling tablescape Stacey! 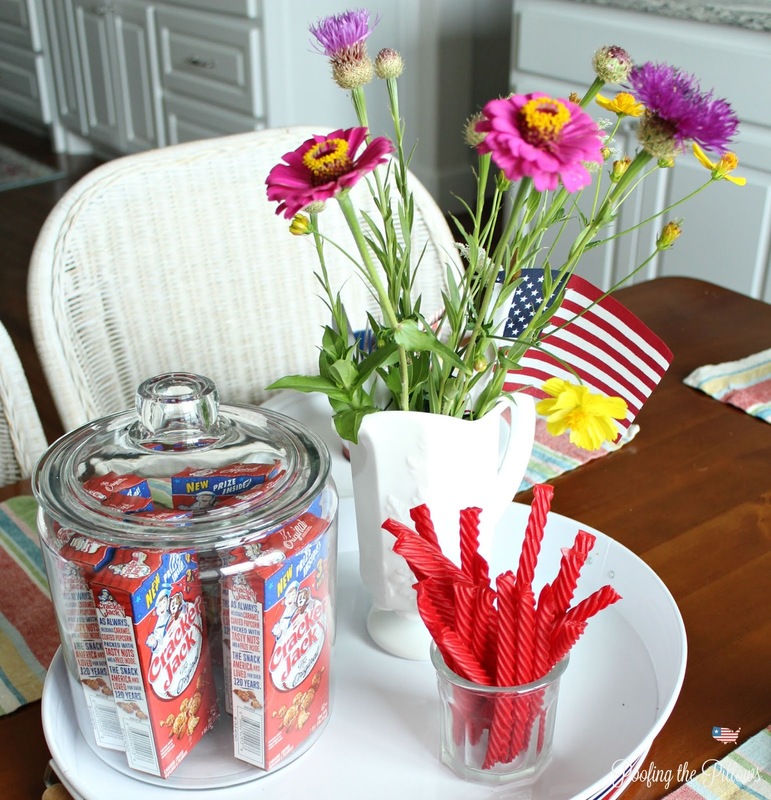 I used Cracker Jack's and Twizzlers is a former July 4th vignette and they do make perfect little accents....this is festive and fun! I love seeing how others decorate for July 4th and you certainly provided adorable inspiration...I'll bet you had fun creating this! Happy 4th! Hi Stacey! These cookies look delicious!! Pinning, of course. ;) I do like a simple tablescape and yours is perfect. Stacey, I love your Tablescape, fun and easy! It is perfect for summer. Those cookies look fabulous! I could use a couple with my coffee. Cute and Yum all in one post Stacey. Good Morning. Hope your week is going well. My daughter and I just got a lot of the same table scape pieces you found for a baby shower. Her good friend from college is having her first baby boy and they are doing the shower in Red, white and blue. The theme is Red White and Due so these are really cute items. Wish I lived closer to come by and share in those cookies with you. Yummy. Enjoy. Thanks Stacy, cute table setting and i will try those cookies, yum! Thank you so much Marlene! I hope you will try the cookies. They are delicious and they must be healthy since they have oatmeal. Right? Love the flowers from the wood patch...er, meadow! So cute Stacey! I love the pails, the bright simple flowers and the nostalgic treats! Happy Flag day! Your table is sweet and perfect for 4th of July. I love the buckets, the cracker jacks and the twizzlers! Your table is SO cute! I bet those Cracker Jacks will go fast! And thanks for the cookie recipe, looks good! This table looks wonderful! 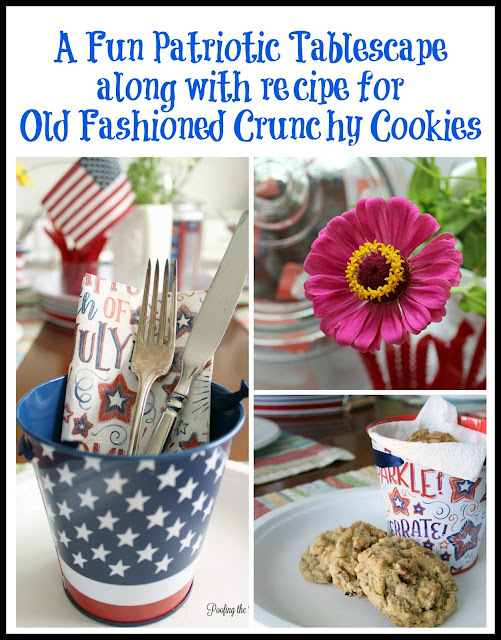 I love the Cracker Jack idea -- its whimsical, fun and so color-perfect! 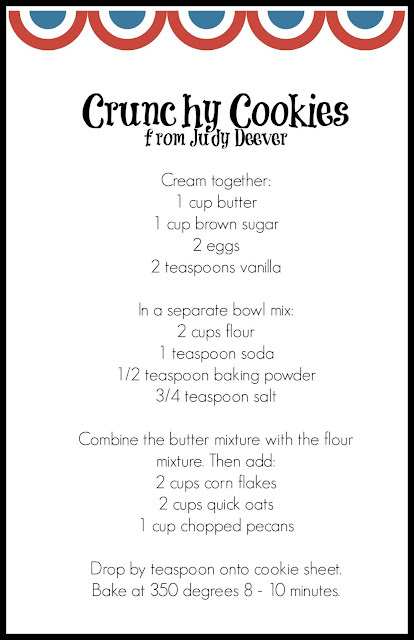 And the cookies -- consider this recipe printed out. Sounds WONDERFUL! Gorgeous zinnia! Those cookies look delicious!!!! Lovely and elegant. Great display. What a cute idea to put the cracker jack boxes in the canister! Love it! Stacey I love all that burst of color on your table. I am so looking forward to celebrating the Fourth of July this year in the States. This is such a festive table, Stacey! I especially love the look of the Cracker Jacks in the jar! What a happy and welcoming table! I adore the cracker jax in a jar! Adorable! I love the Cracker Jax in the jar. The cookies look delicious. You decorated the table so nice and festive. The cookies and recipe look so good. Thanks for sharing at Cooking and Crafting with J & J!! I am loving this. Those buckets are adorable. I am going to have to copy your idea! Such a darling table setting! 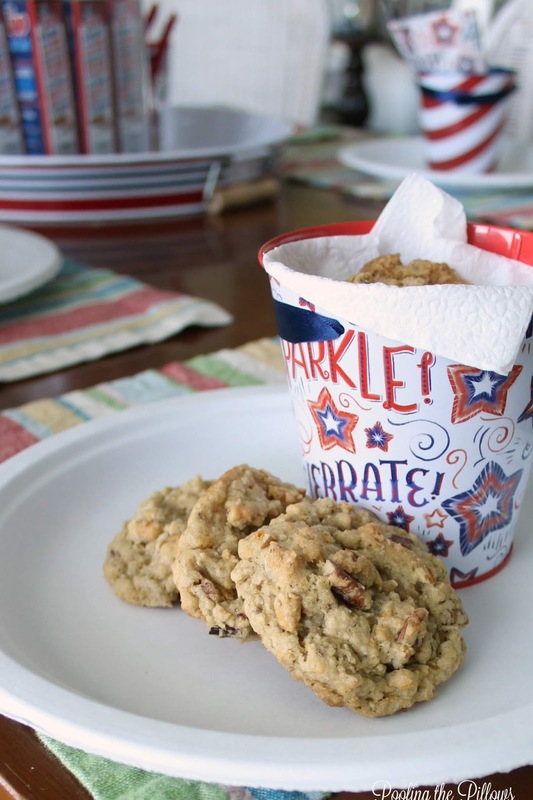 Love the jar full of cracker jacks...such a darling idea!! The cookie recipe looks delicious, definitely giving it a try!!! Thank you so much, Emily! I do hope you try the cookies..they are delicious. This post is simply adorable! I always love using Cracker Jack boxes or tins for the Fourth! Thanks so much for sharing at the Patriotic Party! Thank you Amber!! I appreciate your linky party where we can all put our thoughts together. Cute table decor and that sounds like a very interesting cookie recipe (and one I have never tried before!). 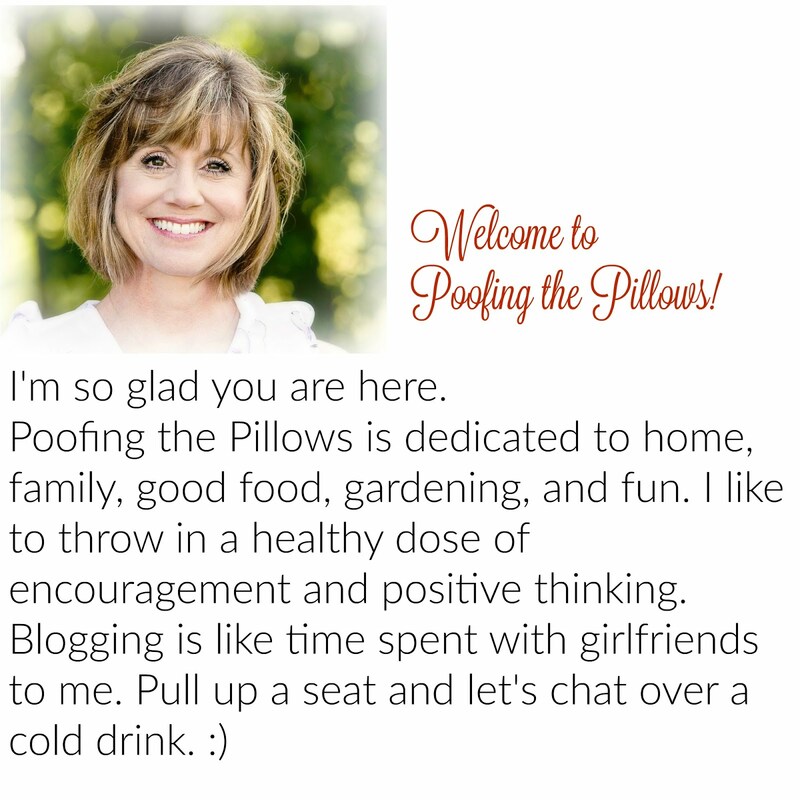 Thank so much for sharing with us at the Summer Time Fun linky. pinned.